2018 was an extraordinary year for the EVA market. In this year, the newly added capacity was fully released, and the output of Chinese-made EVA hit a new high. The EVA import market softened, and the import volume declined for the first time. The market participants held extreme cautious sentiment towards the market, and the fluctuation range of EVA prices narrowed. The photovoltaic industry, which was the key driving force of the downstream demand, was impacted by the new policy enacted on May 31. In H1, 2018, Chinese-made EVA output was 323.9 kt, up 47.49% Y-O-Y. The EVA import volume was 483.0 kt, down 4.56% Y-O-Y. The apparent consumption volume of EVA was 783.4 kt, up 13.16% Y-O-Y. In the next five years, more and more newly added EVA capacity will be built. The new capacity will drive the innovation of EVA production techniques. The upstream feedstock will be diversified, and the cost influencing factors will be complicated. Meanwhile, with new products entering the market, the original supply pattern will be altered, and the sales layout will be reconstructed. On the demand side, the photovoltaic demand is decelerating, and the future demand of EVA will be filled with many uncertainties. Searching for new demand growth points will become a top priority. The supply and demand pattern of EVA is changing rapidly, which is not only a challenge, but also an opportunity. With nearly 10 years of experience in EVA industry, SCI analyses the current status of EVA industry and predicts the future development direction of EVA market through detailed data and scientific data analysis models, helping EVA traders avoid commercial risks and seize opportunities. And the report provide a reliable reference for EVA producers’ product positioning and sales strategy, and offer scientific decision-making basis for end factories to lay out feedstock market and maximize profit. 1. 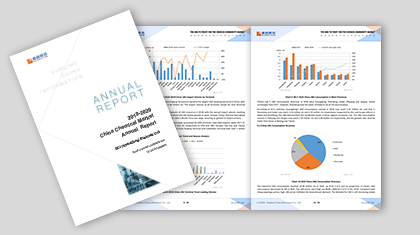 The report is designed to find new demand growth points in EVA industry through the refinement of data from regions, industries and representative enterprises. 2. The report will comprehensively show China’s EVA supply pattern through data interpretation. 3. The report will present EVA supply changing tendency through interpretation on capacity and output in the last five years as well as the future supply pattern. 4. The report will analyze the EVA price driving factors from the perspectives of related products, upstream and downstream as well as external environment, and objectively evaluate the transmission of the EVA value chain.